The average price for this game in the past 6 months is $7.99. The game first became 50% off on Jul 24, 2017 at Best Buy. Lowest historic price was $7.99 on Dec 11, 2018 at PlayStation Store. 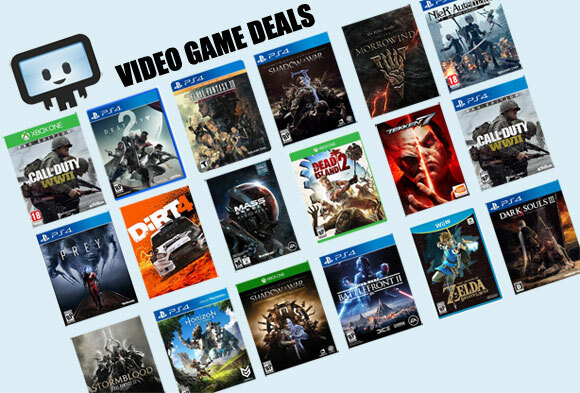 Got Gamers Club Unlocked membership at Best Buy? You can snag MLB The Show 17 on PS4 for $15 today with free store pickup. Solid 85/100 at Metacritic. On March 28 MLB The Show 17 released for the PS4 where it got an impressive 85/100 score on Metacritic. Today it's hitting a new low with a drop to $19.99 at Best Buy. Today only discount. Originally a $60 title. The average price for this game in the past 6 months is $15.04. The game first became 50% off on Jul 3, 2018 at GameStop. Lowest historic price was $9.99 on Dec 19, 2018 at GameFly. The average price for this game since released is $30.56. The game first became 50% off on Aug 19, 2016 at Best Buy. Lowest historic price was $14.99 on Nov 27, 2016 at Best Buy. If you're a fan of America's favorite pastime, Groupon dropped the price on MLB The Show 16 on PS4 for $35 with free shipping. That's the lowest price we've ever seen, as well as $5 off the next best price. Sort of a hidden discount on MLB The Show 16 at Amazon. A decent $20 discount to $40 for all, but if you're an Amazon Prime member and take this game to checkout you'll see it further drop to $34.99 - a historic low by $4. MLB The Show 16 PS4 exclusive down to $36 after NewEgg coupon code. Even with a $3 shipping charge it's a historic low. Dig baseball but don't always want to go out in the heat to experience playing? MLB The Show 16 on PS4 gets good reviews and is down to $40 at NewEgg, no coupons or rebates to mail. The average price for this game since released is $31.58. The game first became 50% off on Jul 13, 2015 at ToysRus. Lowest historic price was $12.99 on Nov 18, 2015 at GameFly. Best Buy has a new price drop on MLB 15 The Show on PS4 for $20 with your choice of free store pickup. That's the lowest price we've ever seen by $4, as well as $11 off the next best price. Tying the lowest price for MLB 15 The Show on PS4 last month, Best Buy is offering the game at $40. In addition to that, Gamers Club Unlocked members get a 20% discount to $20. If you're a fan of America's favorite pastime, Target dropped the price on MLB 15: The Show on PS4 for $40 with your choice of free shipping or store pickup. That's the lowest price we've ever seen, as well as $12 off the next best price. MLB 15 The Show releases two weeks from now. NewEgg has a 12% off coupon code dropping the pre-order price from $60 to $53. MLB 15 The Show will launch in March for the PS4. Today NewEgg has a rare pre-order coupon on a console title, cutting the price to $53. The average price for this game since released is $29.77. The game first became 50% off on Oct 19, 2014 at Best Buy. Lowest historic price was $9.99 on Nov 25, 2015 at GameFly. MLB 14: The Show on the PS4 now down to $15 at GameFly. It's in pre-owned condition, but beats the $40 you'll pay for brand new by $25. Pre-owned at GameStop right now is $38 + $3.50 shipping. The May 6th relased MLB 14: The Show on PS4 finally got a price break today at Rakuten. While only $7 off the original $60, these MLB games tend to hold their value well. GameStop and most other retailers still charge $39.99 for MLB 13 The Show. It's not 39.99. It's 59.99. Oddly NewEgg was showing $39.99 this morning so we reported, but you are indeed correct they switched and the price should have been $59.99 all along. Thanks for letting us know. The average price for this game since released is $29.96. The game first became 50% off on Jul 1, 2013 at Amazon. Lowest historic price was $4.99 on Dec 23, 2015 at GameFly. Best Buy has a new price drop on MLB 13 The Show on PS3 for $15 with your choice of free store pickup or $2 shipping. That's the lowest price we've ever seen by $3, as well as $11 off the next best price. Next best price online is $30 at Amazon.